Firstly i've just discovered the NYC brand. I've noticed it on several blogs but i've never actually tried it. The other day i walked into my newly revamped superdrug to find that they now stocked NYC, i had a quick look and was drawn to this primer instantly. I've been after a new primer for quite a while but im trying to save for a holiday so didn't want to spend too much on a new product i hadn't heard too much about. At £2.50 i thought why not and i'm so so so glad i did. Honestly, how have i survived before without this. On Friday i did my makeup at 9 o clock in the morning and hand on heart my makeup was still on just as it was in the morning at 9 o clock at night. I genuinely cannot recommend this product enough. I will be going back and trying more NYC products soon. Oh good old Soap & Glory! This has to be my favourite product from the Best of all gift bag i received at Christmas, in fact i've nearly ran out already. I use this everyday after a shower and it makes me feel so much better. The scent is lovely as is all Soap & Glory products but i've also seen a huge improvement in how smooth my feet feel already. When this product runs out i will definitely be buying so more. I've even got my boyfriend in to it and he asked my to pick up some up next time i'm in Boots, ha! Garnier BB cream, what can i say? My saviour for early morning lectures and lazy days. I tend to use my BB cream when i'm in uni for an hour or i'm just hanging around the flat with my friends and i love it. I feel like it doesn't clog my skin up and it give me a nice clear complexion. Teamed with the NYC primer this BB cream lasts forever and is perfect if you can't be bothered to re touch your make up. This semester i have a 9:15 lecture on a Thursday and student night is a Wednesday so this is honestly perfect for giving me the appearance of brighter skin whist inside im dying :(. Super Drug - 99p I have the conditioner too but couldn't find a picture. I have unintentionally lasted around 27 days in the no heat challenge!! I realised about a week ago that i hadn't used any heat on my hair since Christmas and it is feeling slightly better so i've decided to see if i can carry on for 100 days. 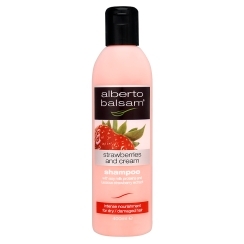 I've recently just started swimming and i really don't want to damage my hair so i've been looking around for a good shampoo and conditioner when i found this in Super Drug. The smell is beautiful, i could honestly eat it (please don't try that) it is for dry and damaged hair and for the past few weeks since i've been using it my hair is feeling super soft. I'd love my hair to be in lovely condition to help it grow, i will keep you informed on the progress! What products have you been loving in January? That primer sounds amazing for the price, I've been looking for a new one myself lately so might have to nip into my superdrug this week. The foot cream and BB cream sound like really great products too so if I see them at some point may end up picking those up too hahaha.